At the CMV Group, giving back to the broader community has always been an extremely important part of our culture. Through the foresight and moral fortitude of our founder Sidney Crawford, the CMV Group Foundation was formed in 1953. Since then, substantial funds have been channelled towards assisting those less fortunate in our wider communities. In similar spirit, the employees at the CMV Group have established the CMV Group Staff Foundation. Staff have the opportunity to donate a portion of their salary towards the CMV Group Staff Foundation and these contributions are matched dollar-for-dollar by the CMV Group Foundation. These funds are then distributed to either staff who require assistance or to a broad range of registered charities. Below is a small selection of causes supported in 2017. 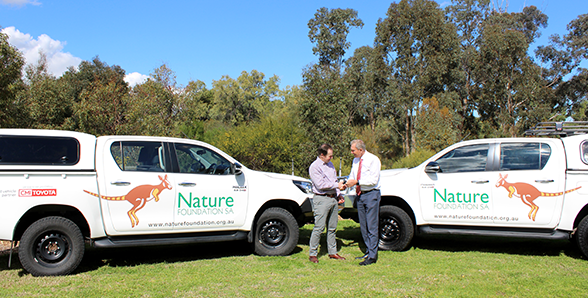 CMI Toyota, with the support of the CMV Group Foundation, is proud to have supplied two Toyota Hilux to the Nature Foundation SA to assist in their conservation programs. 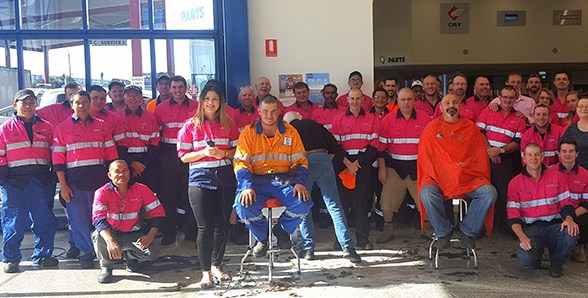 Nine team members at CMV Truck Sales stepped up and shaved to raise much needed funds for the Leukaemia Foundation, with the support of the CMV Group Staff Foundation. The Captain Courageous Foundation raises funds to assist with research into the cause and cure for children suffering from Bone Marrow Failure Diseases. 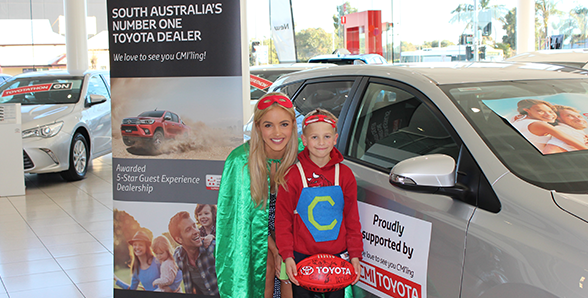 Each CCF gala event, CMI Toyota - with the support of the CMV Group Foundation - donate a car to be raffled off on the night. Pictured here is Miss Universe Australia, Olivia Rogers, who is an ambassador, alongside Angus Bond who suffers from a very rare condition caused by bone marrow failure. 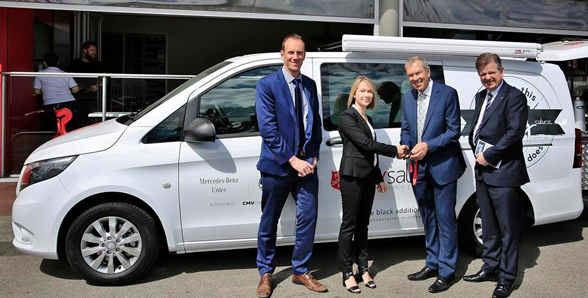 Mercedes-Benz Unley, with the support of the CMV Group Foundation, were thrilled to present the City Salvos Church Adelaide with their brand new Mercedes-Benz Vito 114, helping them to see out there vision of creating a vehicle that would service, connect and bring hope to many South Australians, providing hot coffee, soup and supplies to those in need. Always leave something on the table for the next person.